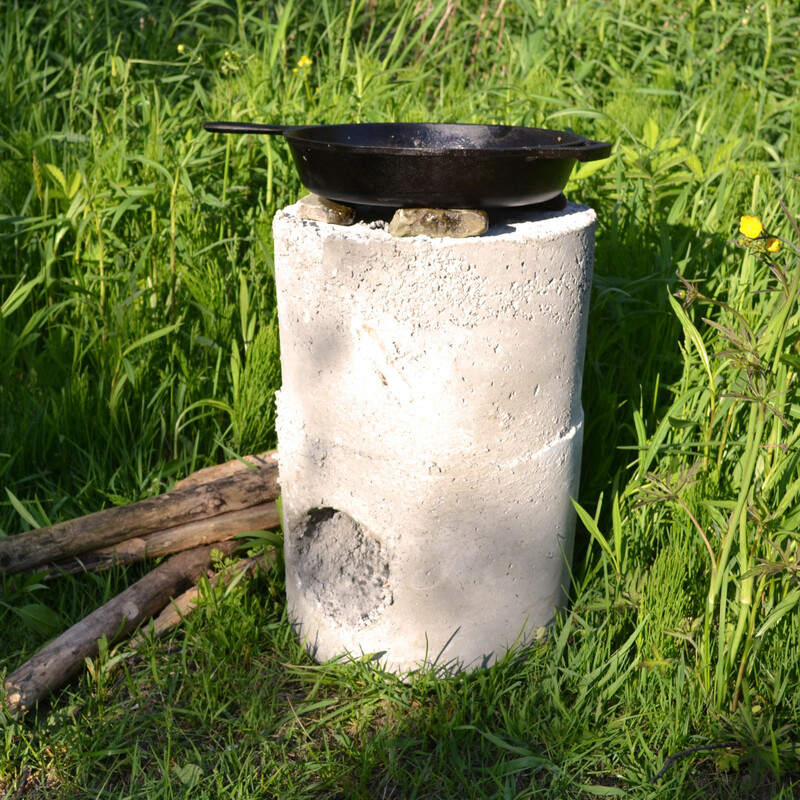 A bare rocket stove is an essential thing to have, but, most people don’t even know what a rocket stove is. This is one of the simplest and oldest technologies. In this case, it’s mostly perlite (an ultra light, organic, insulating material) combined with cement. They’re designed to place sticks, twigs, logs, and anything else you can and wish to fit in a 4″ diameter mouth, for burning to ashes. The combustion chamber is enclosed and insulated, channeling virtually all heat created. Heat updrafts up and cooks whatever you have above, in a safe, efficient, and unique manor. For an additional $5, railroad spike handles can be installed for easy transportation, as bare rocket stoves only weight about 22-27 pounds. It feels uplifting to cook with a bare rocket stove!